We are finally proud to say we will be permanently stocking Premium Malay capsules moving forward. This is often referred to as the strongest of all premium strains. Our Premium Malay begins its journey in southeast Asia where it is harvested, properly cured and dried, and micronized. 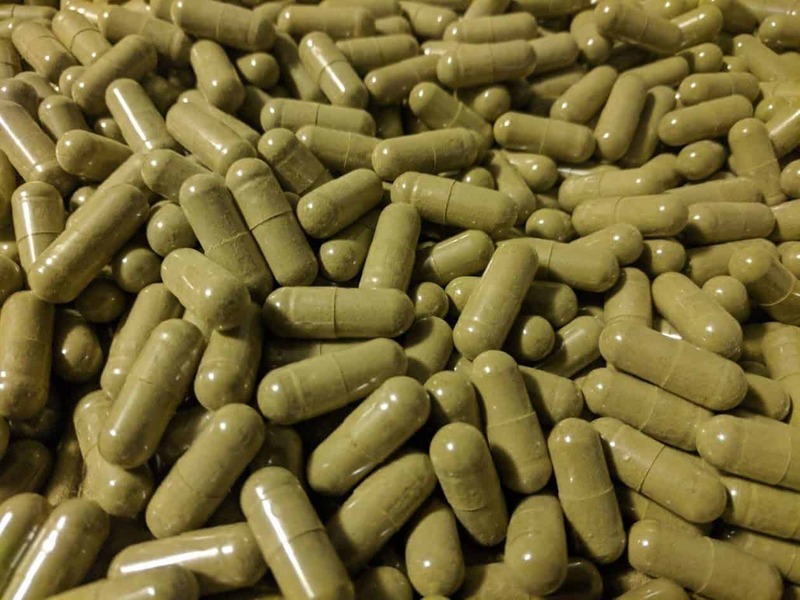 Our suppliers have been harvesting kratom for decades and they embody professionalism in both product and process. Premium Malay has its name because it is significantly higher in alkaloid content than any other strain. While the curing process helps with this, the main reason for this strain’s potency is the type of tree and the surrounding environment. Only certain mature leaves, grown in soil of between 5.5 and 6.5 pH, are chosen for this strain. Premium Malay can often be enjoyed for a longer duration than other strains because its plant cell walls are thicker than those in other strains. Effects can be observed for up to six hours after use. This is not categorically classified as either white or green vein. Premium Malay capsules are best described as a midpoint between the two. Users report stimulation, motivation, analgesia, and euphoria. Good results can be observed when stacking with Red Bali. This is not a strain usually associated with nausea, but it is important to assess individual tolerance. This strain is very energizing. Nice! Ultra fast shipping, very potent quality kratom.